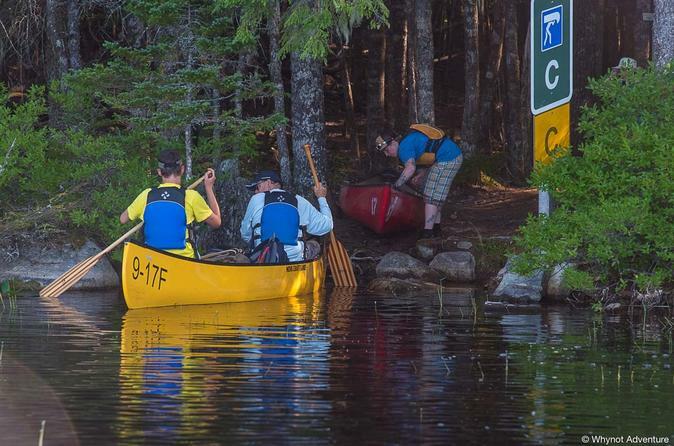 Similar to our 3-day version, but offering an added day for exploration and relaxing, this extended Keji Southern Lakes canoe trip is an excellent opportunity to see the other, less visited side of the park. Sandy beaches, blue lakes and rocky shores set the backdrop for this adventure. My favourite sites are all on southern lakes- come see why. Amazingly, there is terrific cell reception throughout most of the park so you'll have the choice to leave your phone at your car to unplug for a few days, or to bring it along and post your best pictures to Instagram and Facebook for your family and friends to see. This Canadian adventure vacation is perfect for families, couples and solo travellers. We'll accommodate your dietary preferences and restrictions and integrate them with our gourmet backcountry menu. You won't have to tent with a stranger and there are private pit privys/out houses at each site. Besides being culinary epicures, our guides also take coffee seriously. You'll always find a pound of the best local roast (Fair Trade/Organic) we can source; we also take care to grind the beans fresh each morning. Preparation is french press. We start and finish the trip at Jake's Landing, in Kejimkujik National Park. In-between we'll paddle and portage to the southern lakes region of the park, enjoy some of the best campsites in the park, stargaze in a dark sky preserve, roast marshmallows for s'mores and keep an eye out for local wildlife.